Canada's top film and televison performers gathered in Toronto on Wednesday to condemn the $45 million in cuts to culture funding announced by the Conservative government in August, saying the cuts will cripple the Canadian arts industry. Canada's top film and television performers gathered in Toronto on Wednesday to condemn the $45 million in cuts to culture funding announced by the Conservative government in August, saying the cuts will cripple the Canadian arts industry. 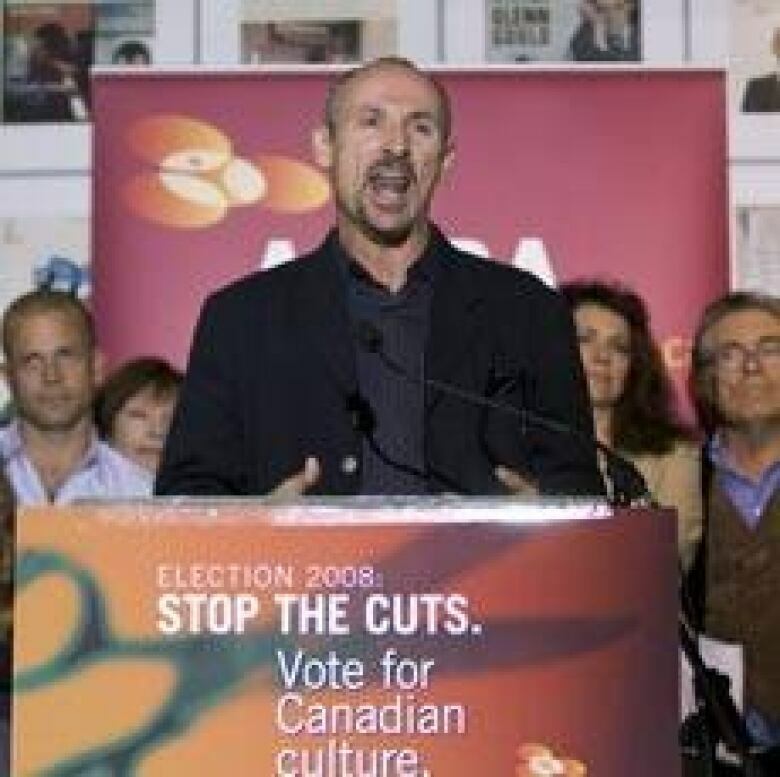 Canadian actor Colm Feore, along with other performers, condemn the Conservative party over cuts within the arts and culture sector of Canada on Wednesday in Toronto. ((Nathan Denette/Canadian Press))Canadian actress Wendy Crewson kicked off the event, saying Canadian artists are "fed up" with the cuts and want to see a return to stable funding for the arts. "Culture is critical to our identity as a country and is a huge part of our economy," said Crewson, whose TV credits include ReGenesis and 24. "These policies are job killers, and artists will not stand by and allow these attacks on our industry to continue without a fight." Stephen Harper has called the culture cuts a niche topic, saying that "ordinary Canadians" are not particularly concerned with them. Artists across Canada are hoping to keep the issue of the cuts alive as the election campaign continues. Actor Colm Feore also spoke on Wednesday, saying that support for the artistic community is essential for maintaining a strong sense of Canadian identity. 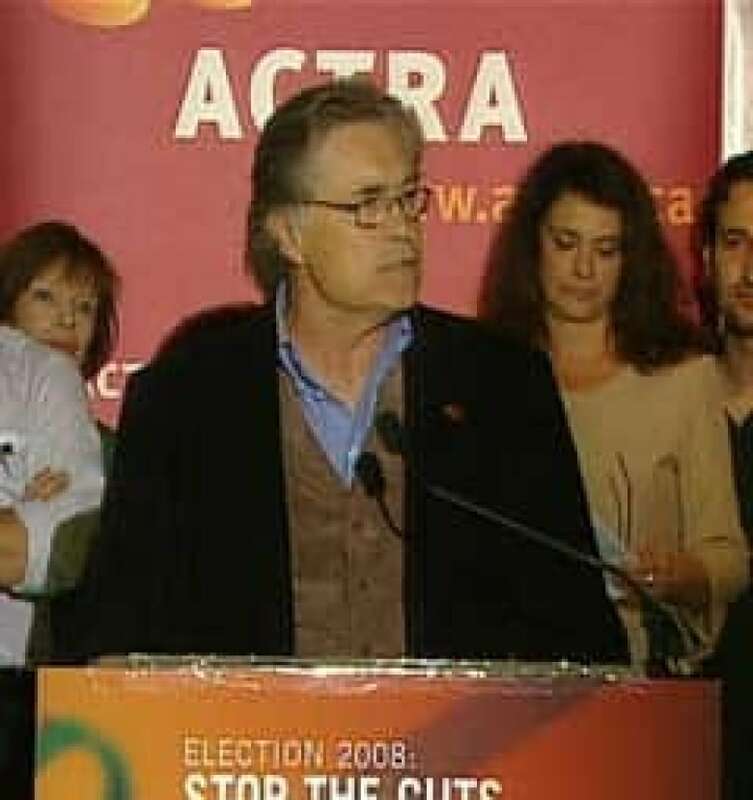 Actor Art Hindle speaks out against the Conservative government's cuts to arts programs at a news conference in Toronto. ((CBC))"We watch with particular interest those stories that are about us, that speak to who we are," said Feore, who won a Gemini Award for his portrayal of former prime minister Pierre Trudeau in the 2002 TV miniseries Trudeau. "Fundamentally, who we are as Canadians as differentiated by everyone else in the world and if we lose that, and lose sight of the value of that, it's going to be gone forever." Canadian actor Art Hindle, who has acted in some 60 films, dismissed Harper's suggestion that culture only benefits the cultural elite. "I would like to think I am an ordinary working person in an extraordinary industry called show business," Hindle said. "And I stress business — this industry more than pays its way and like every other industry, it must have the active support of its government." Harper used his party's funding cuts to arts programs to make an appeal to working-class Canadians on Tuesday. "I think when ordinary working people come home, turn on the TV and see … a bunch of people … at a rich gala all subsidized by taxpayers claiming their subsidies aren't high enough when they know those subsidies have actually gone up, I'm not sure that's something that resonates with ordinary people." One of the Liberal party's big guns is also weighing in on the culture funding issue. Bob Rae is MP for Toronto Centre and the Liberal foreign affairs critic. In an interview with CBC News on Wednesday morning, Rae criticized Harper for saying working-class Canadians don't have much sympathy for artists. "I think it's stupid, and I think it's offensive," Rae said. "Culture affects working people. It affects a lot of people. It's the air everybody breathes. Culture is like education. This kind of know-nothing attack on people is, frankly, ridiculous." Rae also said he found it interesting that Harper made his comments in English. He said he'd like to see Harper make the comments — in French and in Quebec. Harper has disputed his critics' claims that the cuts will cripple the artistic community. He said that while funding for some programs has gone down, other programs have seen a boost and overall funding for the federal Heritage Department has increased by eight per cent since his government took power. Wednesday's Toronto event followed a concert Tuesday in downtown Montreal, where NDP Leader Jack Layton and Bloc Québécois Leader Gilles Duceppe joined more than 1,000 people to protest the cuts. YOUR VIEW: What role do creative industries play in Canada's economy?